Okay Sick Puppies, we get it. You made your point and you can go lick your wounds in the corner of the internet where you came from. Bye! If you want more information about why we’re happy with the results of the Hugo Awards, find out more here. As much as I will be glad that the results of the awards panned out the way they did, I am genuinely disappointed for those writers/artists/editors who were nominated for awards but were shut out because of the politics of “No Award.” I hope you will be recognized in other award ceremonies. The ceremony this past Saturday, August 22, 2015 was quite interesting. I was particularly amused by the speeches of the winners in their respective categories. Laura Mixon stood out for me because she chose to address the elephant in the room, the puppies, and boldly stated “Black Lives Matter” at the end of her speech. It was enlivening to the crowd and other award recipients followed suit. A member of Lightspeed Magazine, winner of Best Semiprozine thanked the Patriarchy in her speech. There were also plenty of fun-loving jokes from the hosts, David Gerrold and Tananarive Due, who I think were chosen perfectly. 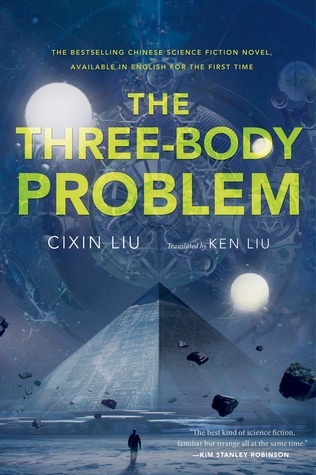 Now I’m off to read The Three Body Problem! Happy with the results of the Hugos? Tell us about it in the comments.